The Law Office of William Cristman, P.L.L.C., represents clients in Saint Albans, Burlington and throughout Northern Vermont in criminal defense and personal injury claims. The law firm combines experience and knowledge with a zealous, aggressive approach to protecting clients' interests. William V. Cristman, Attorney at Law, understands the seriousness of the charges you are facing or the personal injuries you have endured. He is ready to protect your interests aggressively. The firm focuses on nullifying evidence obtained from breath tests, field sobriety tests and blood tests in DUI/DWI cases. With more than a decade of experience and study regarding these techniques, William V. Cristman, Attorney at Law, breaks down the scientific and legal problems associated with the standardized tests, with a particular focus on the Data Master DMT - the device used in Vermont to check breath-alcohol content (BAC) levels. The firm also represents plaintiffs throughout Northern Vermont in car accidents, trucking accidents, medical malpractice, premises liability, farm accidents, third-party work-related accidents, wrongful death and other serious personal injury claims. Mr. Cristman works hard to achieve lasting solutions that address underlying issues, rather than focusing on short-term results. 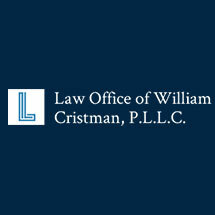 William Cristman has extensive experience and a record of success in cases involving DUI and sexual assault. William Cristman works tirelessly to help clients obtain the medical care and compensation they deserve. William Cristman has more than 10 years of experience in cases involving criminal charges and serious injuries. To schedule a consultation with William Cristman, Attorney at Law, in St. Albans, Vermont, call 802-393-4154.